I've now watched all of the day six matches and I've got to say that was as good a day of Alliance Tournament as I can ever remember CCP having! Yes, there were lots of dunks, but there were lots of close fights as well. It's pretty clear that intel and back-channel dealings had a lot to do with the outcome. I was particularly intrigued by the last match of PL versus HYDRA that sent PL into the loser's bracket. HYDRA opened that match shooting at a Myrmidon that died extremely rapidly. Once it went down, the PL Defense bar dropped by about half. ...which almost didn't happen! Gobbins has the story here on FHC, but once PL and Exodus finished, he reports he pinged CCP Veritas and said the PL team was exhausted and wanted a one hour break. Veritas apparently wasn't pleased, and can you blame him? That puts CCP in the position of having to entertain 13000 spaceship nerds for more than an hour. CCP Soundwave is good, but not that good. Veritas replied that he'd be more than happy to accept PL's withdrawl and Exodus could go on in their place and fight HYDRA for the prizes! Needless to say, PL folded and asked for 20 minutes, which they got. That left the commentators with long gaps to fill between matches, which they did fine with. The matches themselves were fantastic, but I can't even imagine the exhaustion both teams were feeling at this point. PL ended up fighting 17 matches(!) to win, maintaining a nearly impossible operational tempo that last weekend. I asked my own alliance if anyone in it thinks we could have matched that performance (and frankly, I said "try to say yes and maintain a straight face"). Nobody in Rote Kapelle took me up on that challenge. I'll have more to say about it in the second of two AT wrap-up posts I want to write. PL team captain Shamis Orzoz has his wrap-up posted on the EVE-O forums and it mostly comes down to a long set of thank-yous to his team. Elise Randolph has a longer wrap-up posted on kugu. I suggest you read them both, because both are very much worth your time if you're interested in tournament subjects. The most striking thing about both notes is how much commitment PL put into winning this year. This was a major team effort with a lot of people sharing the driver's seat. There were clearly hundreds of person-hours invested at something like 150 to 200 hours per pilot involved just for practicing alone. Even more than that, though, reading it I suddenly had the sense of a particularly gifted college baseball player getting to understand just what kind of gap there is between his play and that of a major league player. I'll have more to say about this also in the second AT wrap-up post because I think it's important. But it kind of left me feeling a little bit depressed. I'm quite impressed with the effort that PL put into their run and from Apathetic Brent I now also have a pretty good understanding of the effort HYDRA RELOADED put into theirs. But again, let's leave that discussion to the follow-up post before this one grows out of control. From my perspective, the best thing of all about AT11 is that the two tourney prize ships (the Moracha cruiser and the Chremoas frigate) don't strike me as particularly powerful future tournament ships. They're fun and scary, sure... but I just can't see three of those frigates getting fielded to the general terror of an AT12 team. Perhaps we'll see the Moracha used in some kind of scary control comp but even that strikes me as unlikely. It's not that much tankier than a garden-variety Rapier and the range bonus is Loki, not Rapier. These are ships born to strike fear into the hearts of ratters, not tournament teams. I wish PL and HYDRA every good luck with that goal. 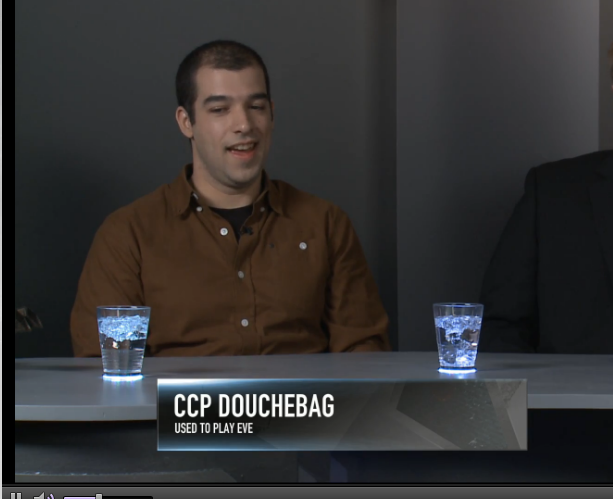 All in all, CCP has very good reason to be really pleased with the outcome here. There were lots of great matches that got better and better as the tournament went on. The top two teams clearly belonged there so there were no unexpected outcomes on that front. There was no single meta that completely dominated (though the Dominix meta came close) and the ban system worked well. Therefore, no team could ride a single comp to victory after victory after victory. If the system used this year has a weakness, it's definitely the mass double-elimination format combined with the best of three matches later in the process. That served to exhaust a lot of teams. But it's something that CCP can iterate on for AT12. The audience this year was quite strong, the best audience CCP has had to date for one of these and they even had a Russian-language stream and commentators, a nice touch. My congratulations to everyone involved, and let's bring on the second version of the New Eden Open! Not surprised that PL put in a huge effort. I never really clued in that that the prizes for the top 2 teams are worth about 2.5 trillion each. And no, I don't think PL is RMT'ing the winnings. The amount of effort that went into it, likely measured in the thousands of man hours, just does not make sense from an RMT perspective. However, selling off half of those ships likely adds over a trillion to the PL coffers. Plus PL lives for e-peen. This is the holy grail for them. From a pure veiwer perspective, I thought this was the best AT I've seen in the last 7-8 years. I liked both the double elimination and the best of 3 setup. I'm sure that is hard on a team, but with the winner getting trillions in isk it prizes I don't feel bad for them at all. The only thing I would add is more planned content outside the scheduled matches for the last day. Either dev's coming and talking about the game, more exhibition matches, or some other EVE related content. And if the filler was good enough it might allow for slightly 10-20 mins between matches for the participants. Maybe CCP could have a "Formula 2000" style event where blow-ins can buy a pre-fitted ship, get in an arena with a dozen other randoms and fight gladiator style until only one is left. Prizes would only amount to having your name on screen for a few seconds. "That left the commentators with long gaps to fill between matches, which they did fine with." Yes, but I for one found myself missing the CCP "fill" from previous years where many, many devs were introduced and dicussed their work and perspectives to fill the time between matches. It was for me broadening and brought understanding to current CCP developments and visions. I'm sure the main reason was the late July scheduing and thus, as you have said multiple posts, most of CCP on vacation leave. Though, I felt that this lack of broad presense was the lowspot of the total tounament experience for me. Kudos to the guys who hung in there for three weekends though. Perhaps next year, if the scheduling lends itself to the same issues, they could pre-record some of those dev videos they did for a while and have them as "backups" to fill gaps and pauses in the last weekend. Didn't you miss that part of the tournament, Jester?